Note: There's been a spate of South American players who ply their trade in Saudi Arabia and the UAE who have applied and bizarrely received Palestinian documents. 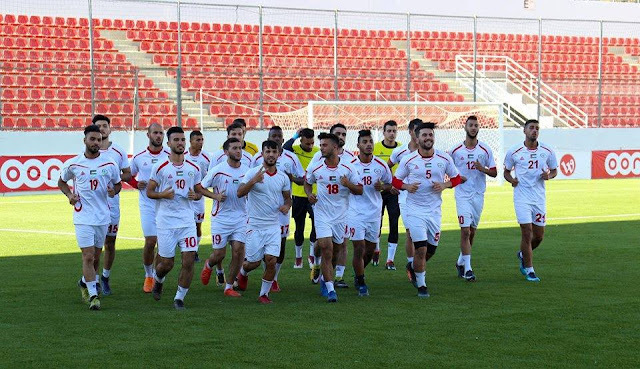 Football Palestine regards these players as scam artists who have no ties to Palestine and have acquired documentation through an illicit process to help their clubs sign more non-Asian players. Situation: A highly rated prospect who has come up the ranks at Bayer Leverkusen and then took a step down a league to get first team football with Kaiserslautern. He has been on the radar of the German FA and has a call up to the German U19 national team (he has U16, U17, & U19 appearances to his name) but time is running out for Abu Hanna to "break through". If Kaiserslautern are relegated this season his chance to break into the Germany U21 squad could be at risk. One to watch for in the future but for the time being Abu Hanna is committed to Germany. Situation: Albadawi was born in Raleigh after his parents left Kuwait following the outbreak of the first Gulf War. After finishing his collegiate career at NC State he joined the Railhawks, initially captaining the U-23 side. He made the jump to the senior team in 2014. Albadawi is coming off a breakout 2016 season- setting a NASL record for assists in a season (10) and logging the most minutes in the team. His performances earned him a nomination for the NASL's Golden Ball Award. Expected to make the jump to MLS once Cincinnati is awarded a franchise by the league. Situation: Jamal Mahmoud attempted to call him up for the Qatar friendly but his overtures were rejected. He is a solid contributor for his Qatari club side and would make for an interesting addition. With Qatar policy of naturalizing its best uncapped QSL players he may have a change of heart down the road. Situation: Not a lot is known about the player other than the fact that he plays in Al-Wakrah's reserve team. Situation: Currently playing for Bayern Munich's youth side, the young Emghames was called up to train with the first team by Pep Guardiola in March 2016. He has since transferred to Hannover 96 and is looking to work his way into the first team. Situation: Uncapped for Germany, he has expressed interest in playing for Palestine (even visiting the team when they held camp in Germany in the summer of 2015) and was promoted to the Freiburg first team. Minutes proved hard to come by and he did not succeed in gracing the Bundesliga after making sporadic appearances for the team in the second tier. The lanky striker will be hoping to kickstart his career in the 3. Liga. Situation: Zackarias 'Zacki' Faour started playing for Malmo FF aged five and at 13 he was being watched by some of Europe’s biggest clubs. In the end Manchester City paid £400,000 for the the talented striker who is powerful, skillful and has predatory instincts. 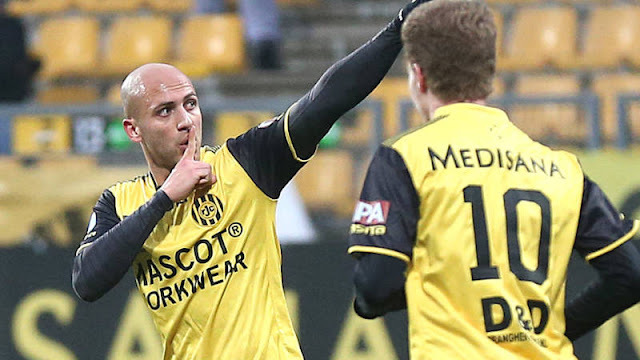 In 2016, Faour joined Midtjylland on a season-long loan in September 2016 with the Danish club having an option to sign the youngster at the end of the season. One year later, he joined Swedish top-flight side Sirius in August 2017 after three years at Manchester City, signing a three and a half year contract and immediately featured in the first team squad and spent the second half of the season on loan with Osters. Situation: Born to Palestinian parents in Sweden, Hamid had a fine season in the fourth tier of Swedish league in 2017 starting 23/26 games en route to registering 12 assists and seven goals. That form earned him a move to third tier Torns IF. Situation: A player who fell out with the PFA- but only after gaining citizenship- leveraged his status as an Asian player to get big money contracts in Saudi Arabia, China, and the UAE. Will most likely never play for Palestine despite his eligibility. Now on loan at Brommapojkarna in the Swedish second tier he isn't even the most high profile Palestinian in Sweden- with Hosam Aiesh, Mahmoud Eid, and Ahmad Awad all more successful as of late. Situation: Signed for Aston Villa's U18 team in July and is related to the two older Khalilis (Abdul Rahman Khalili used to be in this list but has since played in Euro 2016 qualifying for Sweden) mentioned on this blog. Scouts have likened him to Mesüt Özil. 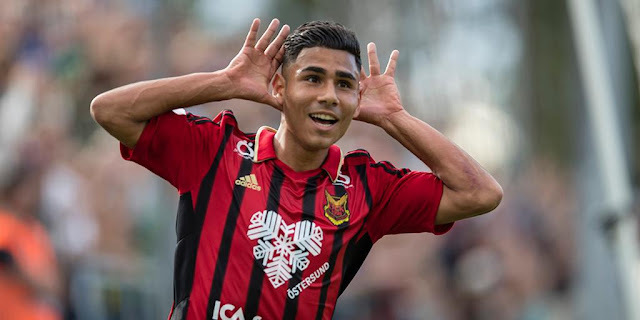 The youngster previously broke into the first team of fourth division side Hogaborgs BK (a club famed for producing the likes of Henrik Larsson). Talksport profiled the youngster ahead of his Aston Villa move since then the attacking midfielder has moved back to Sweden, first to Helsingborg where he made his professional debut under Henrik Larsson, and then to Superettan strugglers Syrianska where he has had a solid run of games. Situation: A talented prospect despite his relative lack of size for the position (180 cm). Muhannad Naim was born in Riyadh, Saudi Arabia but moved to Qatar with his parents at a young age. He is the product of Qatar's Aspire Academy and has spent a year in Europe with the Belgian side the Aspire Academy owns (KAS Eupen) starting two games during his time there. He has since managed to secure a number of appearances with Al-Sadd. Despite eligibility through his parents- who are from Jenin- Naim has never been contacted by officials from the Palestine FA. Situation: A much acclaimed youth player Schahin spent a few years quietly going about his business in the 2.Bundesliga. Deemed a surplus to requirements at Greuther Fürth he was loaned to Dyanmo Dresden in 2011/12. Nine league goals in 12 games saw him snapped up by newly promoted Fortuna Düsseldorf at the beginning of the 2012/13 season. The step up did not stop Dani who bagged four goals in his first six Bundesliga games en route to an eight goal season. Schahin has been capped 11 times at U19 and U20 level for Germany, however, his chance is well and truly gone. That said, he has failed to build on his one solid Bundesliga season and is now a bit-part player with Roda in the Dutch Eredivisie. If he were to switch allegiances Schahin could play for Ukraine (where he was born), Russia (where his mother was born), or Palestine. In 2013, Schahin rejected an invitation Theo Bücker to join Lebanon citing his Palestinian heritage. Situation: First came to the attention of Palestinian fans in 2007. Sharbini has been capped at U19 and U20 level for Croatia but was never in Slaven Bilic's plans for the senior squad. According to Majed Balawi, the striker wants to play for Palestine but there has been a lack of initiative on the part of the PFA (more on this below). Situation: The more talented of the two Sharbini brothers, Anas probably would be a Croatian National Team player by now if not for the likes of Luka Modric and Niko Kranjcar. A move to Al-Ittihad of Saudi Arabia might signal a new stage in his career. It wasn't too long ago that he was being linked with a move to a bigger European league. At 27, it may be too early to call time on his Croatia career. Even if he was to continue to be ignored by Croatia- would he want to play for Palestine? The PFA tried calling him up in 2007 (both brothers cited death threats for rejecting the call-up) and by Jamal Mahmoud in 2012 for the Arab Cup (a call-up that was also rejected because both brother were in the process of looking for new clubs after falling out with Hajduk Split's management). Situation: Ready to play for the national team and was supposedly on former manager's Jamal Mahmoud's radar.